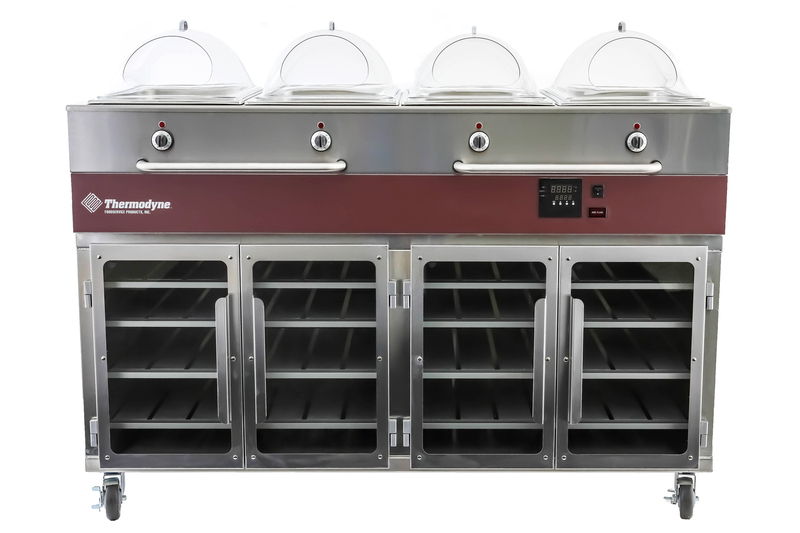 In addition to their current line of Hot Well Series Food Holding Units, Thermodyne Food Service Inc. now offers the convenience and flexibility of a Dry Well option. Featuring top holding wells that are usable without water, the new Dry Well option includes an individual control system that enables multi temperature output. Typical Hot Well food holding units require water to be used as a source of heat transfer. This not only requires a water source to fill the hot wells, but also necessitates water to be added throughout the serving process and drained at the end of the shift. Additionally, if there is a need to move the unit from one room to another, water will tend to splash around and could potentially spill. Using a patented radiant heat transfer system, Thermodyne’s Dry Well option removes the need for water to be used in the top hot wells. This eliminates problems often associated with hot wells that require water. 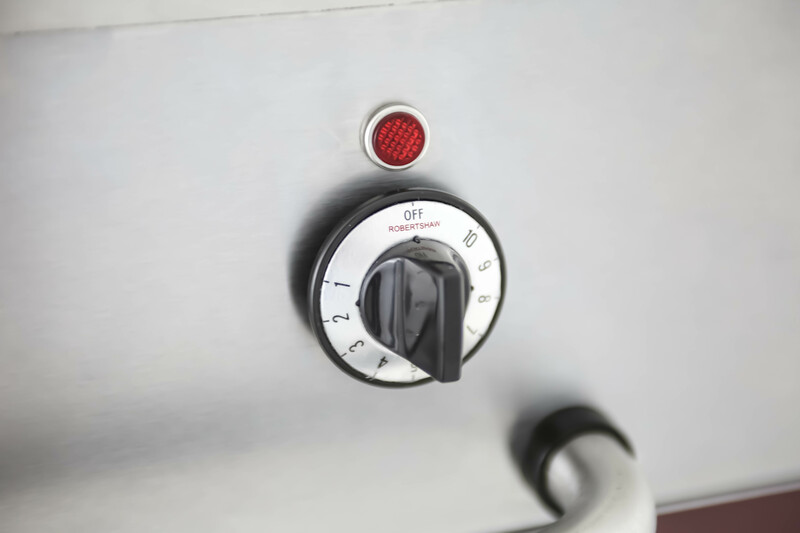 Featuring an independently operated control system, Thermodyne’s Dry Well option allows you to individually control each pan in the hot well. This enables more versatility and variety regarding food menu items. Serving items that require completely different temperatures is now possible with the Dry Well option. By offering the flexibility of an individual control system and eliminating the use of water, Thermodyne’s Dry Well option ensures that regardless of your location, food products can be held at precise and even temperatures. 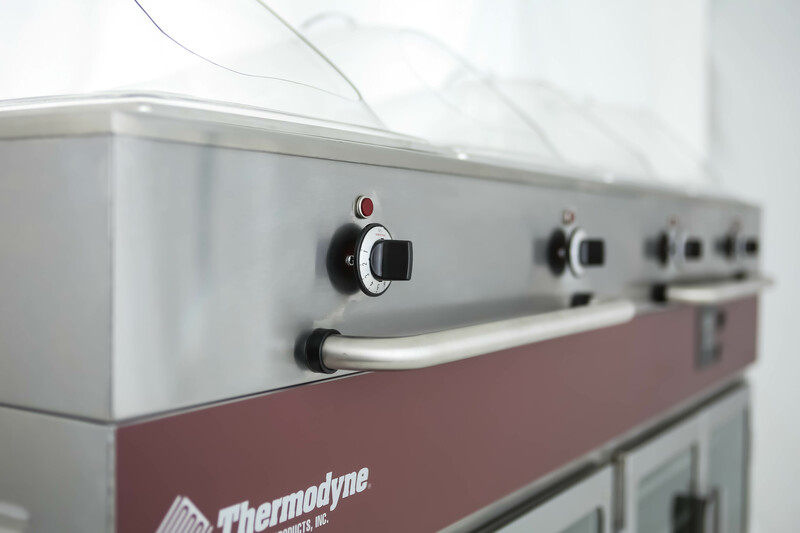 Founded in 1987, Thermodyne Food Service Products, Inc. specializes in manufacturing of both countertop and full size hot food holding cabinets. 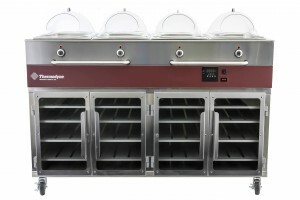 Contact us today to find out the amazing flexibility and serving capabilities made possible by Fluid Shelf Technology.